DNC Electronics Ltd Announce Support for Over 18 Different Generations of Fanuc CNC Systems Dating Back to 1980. Specialising in the repair and supply of exchange parts for Fanuc control systems, DNC Electronics the UK’s leading independent Fanuc CNC electronic parts and repair specialist based in Swindon, Wiltshire have several thousand Fanuc and GE Fanuc Control boards, and system series components in stock from over 18 different generations of Fanuc CNC systems dating back to 1980. DNC Electronics is proud to be able to offer a replacement parts and repair service on such a wide range of Fanuc Control systems. With a same day / 24-hour Fanuc repair and test service offered as standard, we can also offer a same day delivery or collection service should it be required. 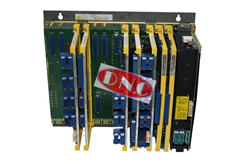 DNC Electronics also offer limited parts for the later FANUC Series 0i (Models A, B and C). Fanuc Control parts by type include Fanuc main Masterboard/CPU, Fanuc Memory (BMU / ROM / SPRAM / DRAM / FROM), Fanuc Power Supply Unit, Fanuc Axis Controller, Fanuc Spindle Controller, Fanuc I/O PCB, Fanuc Graphic PCB, Fanuc Input Power Unit (I/P Unit),Fanuc PMC Card (M Ladder), Fanuc Operator PCB, Fanuc PLC I/O Module (Yellow Unit), Fanuc CPU ( i generation plug in), Fanuc Backplane, Fanuc Communication PCB (RS232, Puncher, ethernet), Fanuc SMD (small modular device for 15 onwards, Fanuc Tape Reader and Fanuc Panel or Fanuc Operator Panel. In addition to control boards DNC Electronics also stocks a range of Fanuc membranes covering Fanuc series 10, 11, 12, 15, 16, 18, 20, 21 and 0 series variations as well as an extensive range of Fanuc batteries. Offering very competitive prices on both new and exchange parts, charges for clean and test / inspection range from £50 to £400 and are dependent on the complexity of testing and the size of the part for cleaning. All parts are however fully inspected and tested prior to dispatch by their experienced technicians using state of the art diagnostic equipment. The standard warranty on all exchange and repair parts is 180 days. Further details on the full range of Fanuc controls that DNC Electronics supports can be found on their website here. Founded in 1997 DNC Electronics Ltd is one of the largest independent Fanuc specialists for the machine tools industry worldwide. Offering a supply, repair, and exchange service specifically for Fanuc and GE Fanuc CNC parts DNC Electronics also specialise in replacement CNC monitors for Fanuc, Mazak, Mitsubishi, Siemens, Matsushita and Heidenhain. DNC Electronics offers a comprehensive sales and support service in more than 85 countries and for a quick turnaround can offer a same day/24-hour Fanuc repair and testing service as standard. Key clients include service and maintenance engineers, machine tool manufacturers and specialist CNC machinists working within the aerospace & defence, automotive and manufacturing industries.